On Memorial Day, we take a moment to pay respect to the men and women who have lost their lives while serving in the armed forces. And since many people have Monday off of work, it also means that millions are traveling for the long weekend. AAA expects 37.2 million Americans to take a trip of 50 miles or more this Memorial Day weekend. That is up 4.7 percent compared to last year, and is the most since 2005. Those statistics mean one thing: crowds! Nothing ruins what is supposed to be a relaxing vacation quite like having to wait in line to use the bathroom, get food, or find a parking spot. To keep your Memorial Day weekend crowd-free, here are a few spots that usually stay gracefully under the radar. In Michigan, the Great Lakes State, you can pretty much take your pick for where to spend Memorial Day. One great option is Higgins Lake, located in Roscommon County. The lake was formed when a glacial ice sheet retreated, so the water is crystal clear, clean, and great for fishing. If roughing it isn’t your idea of a great getaway, the lake is also part of two state parks, so it has campgrounds, Wi-Fi, modern bathrooms, and hiking trails. Located in central New Hampshire, Lake Winnipesaukee is the largest lake in the state. 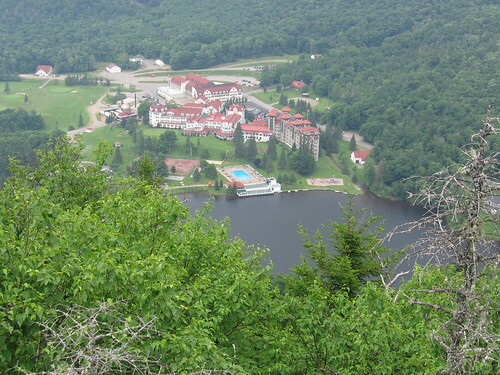 Its location in the foothills of the White Mountains and prevalence of public beaches make it a popular destination for vacationers to swim, fish, dine, and partake in other water sports. With 178 miles of shoreline, you’re sure to find a spot away from the Memorial Day crowds. If you’re in search of a vacation away from it all, consider a stop on the Buffalo National River in Arkansas. The river is roughly 150 miles long, making it a perfect place to kayak, canoe, or float downstream. Ozark National Forest is nearby, so visitors can engage in a plethora of outdoor activities, from hiking to exploring caves and waterfalls. Enjoy the scenery, fish, and relax for a few days before you head back to work on Tuesday. Thousands will likely flock to Las Vegas for Memorial Day weekend, but if you’re smart, keep driving. Just 30 miles away you’ll find the Lake Mead National Recreation Area. There, you can enjoy scenic views and convenient accommodations including campgrounds, lodges, hiking trails, and picnic areas. You can even go horseback riding and scuba diving! Leave the crowded clubs of Sin City behind you as you gaze at the starry night over Lake Mead. As droves of people drive into the city of Atlanta, pack up your car and drive out towards Kennesaw Mountain. Seeing as it was once the site of a major Civil War battle, this spot is the perfect destination for a Memorial Day getaway. View the 35-minute movie on the Battle of Kennesaw, before visiting the museum which houses artifacts from the military. Kennesaw Mountain is metro Atlanta’s highest-elevation point, so after the history lesson, tie up your laces, and go for a hike to see amazing view of Atlanta’s skyline. If you want to have some fun on the lake, but don’t want to worry about drunk guys in speed boats, then a visit to the Aurora Reservoir has your name all over it. Just a short drive from Denver, the reservoir doesn’t allow motorized boats on the water, making it a safe place to swim and fish. The water is clear, the beach is clean, and there’s even an archery range nearby if you want to channel your inner Katnis. The city of Aurora has has 26 individual historic landmarks, including the American War Mothers National Memorial Home. The best way to beat the crowds is to stay home. But a staycation doesn’t have to be boring, it might actually be the best time to explore the city that you call home. While everyone else is away, go to a nearby park, museum, or restaurant you’ve been wanting to try. Bring the party to you. Plan a barbecue for friends, make a slip and slide in the front yard and keep the cooler full of cool drinks. Set up a tent in the backyards, and let the kids sleep under the stars while roasting marshmallows on a fire pit.